Airborne particles accumulate in the air ducts, as air ducts see a lot of traffic and over time. Air quality is reduced, which impacts asthma and allergy sufferers and impacts everyone who breathes in the tainted as the filth builds up. The internal cavity of the air ducts needs to be cleaned just like every other surface in your home, though there are quite a few people who do not realize the need. 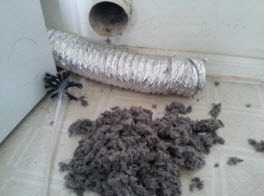 We at Sterling Environmental Air Duct Cleaning would to share the facts concerning air duct cleaning. 1)	You and/or family members have frequent bouts of illness, or allergies. 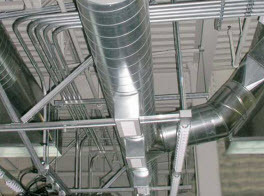 2)	Unusual errors come the ductwork or HVAC system. 3)	Signs of a pest infestation. 4)	Fiberglass ductwork requires more frequent cleaning because it collects contaminants more easily than sheet metal. 5)	Airflow restrictions from obvious buildup or noticeable restriction of airflow from sources. That are out of sight. 6)	Seeing streams of dust, cobwebs, or other debris blowing from the ducts and vents. 7)	Mold, slime, mildew or other microbial growth outbreaks occurred in or near your home. 8)	Air duct or other surfaces of the home that endured water damage, permanent or long-term. Important for a variety of reasons, air duct cleaning controls the dust buildup in ductwork that can lead to microbial growth. To keep the buildup reduced and well-managed, improving the efficiency of your system can be done with routine duct cleaning. 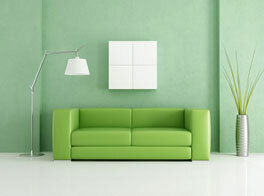 Homeowners have seen up to 40% in increased efficiency after a cleaning in severe buildup cases. Depending on the extent of the buildup, professionals will use appropriate techniques and methods. A trained technician will inspect each air duct as they open all of the access panels. The equipment is collected that is uniquely designed to clean the debris from the duct work including custom made brushes and vacuums, after the appropriate level of cleaning is determined. In addition to cleaning supply ducts, return ducts, air vents, and diffusers, your system will also undergo routine cleaning and maintenance as well such as your heat, exchanger, coils, drain pan, fan motor and housing, and system housing. Resulting in smooth and efficient operation of your HVAC system and a comprehensive cleaning will also improve the indoor air quality. After the cleaning, most professionals will inform the homeowner about the contributing problems in the air ducts that lead to excessive buildup such as water, moisture, pest contamination, debris, dust and other pollutants. It is a great idea to have the air ducts cleaned in you and your family’s absence to ensure a thorough clean and to avoid impacting the occupants. There is a minimal risk of exposure to the filth that is in the air ducts this way while most professionals use filters, containment barriers, ventilation equipment and more to increase the safety of the air quality. A professional air duct cleaning and professionals are held accountable under strict requirements from the National Air Duct Cleaning Association, producing efficient results, whereas a DIY project can easily result in ineffective results and even damage. 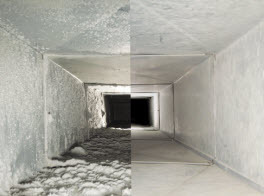 Call Sterling Air Duct Cleaning today to get your air ducts cleaned and enjoy the benefits it has to offer.